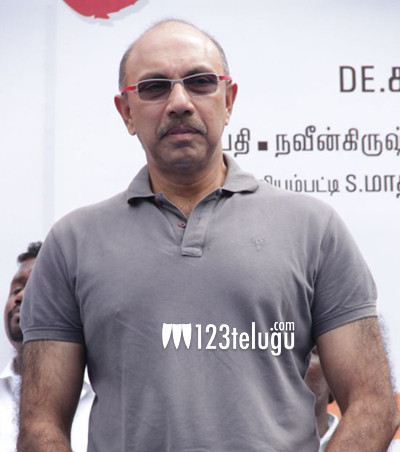 Satya Raj to lock horns with Vishal? Compliments continue to engulf Satya Raj for his Kattappa role in the recent blockbuster magnum opus Baahubali. He effortlessly shone in the role of an army chief of the Mahismati Kingdom in the movie. In the meantime, he is getting numerous offers in movies down South. He has a handful of projects up his sleeve and he will soon take part in the shooting of Baahubali part 2 as well. As per the current reports, it is heard that Satya Raj will play the baddie in Vishal’s upcoming movie in Linguswamy’s direction. Touted to be a sequel to Pandemkodi, this movie will go on floors in the second week of September. However, an official confirmation is yet to be received regarding this latest development.